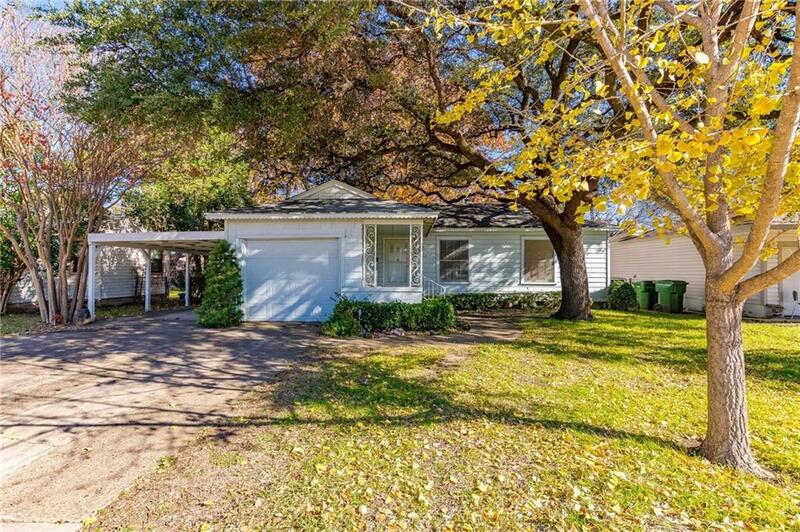 Charming home with a covered front porch and plenty of shade trees. This home offers original hardwood floors, spacious closets including an extra storage closet, and ample natural light in bedrooms. Kitchen has lots of cabinets, breakfast bar, and a window overlooking the backyard. Outside you can unwind on the patio, enjoy the large backyard with storage shed, and 1 car garage plus a carport. Home is being sold as is.